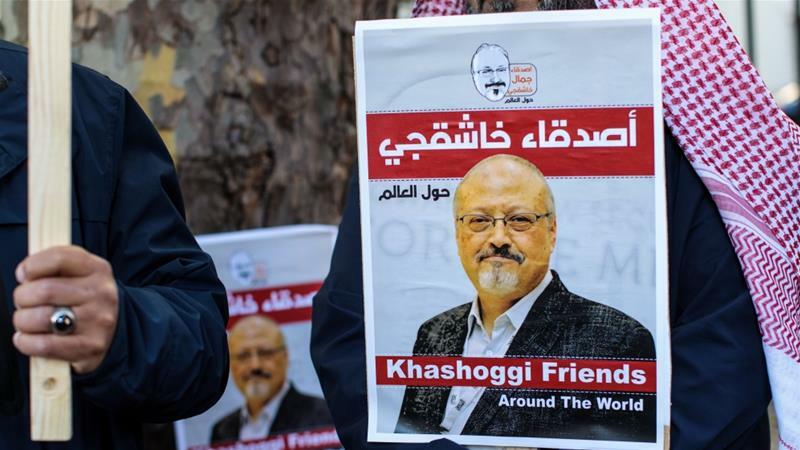 Turkish President Recep Tayyip Erdogan has said the order for journalist Jamal Khashoggi’s killing came from the “highest levels” of the Saudi government but said he does not believe King Salman ordered the hit. In an opinion piece in the Washington Post, Erdogan said that Saudi Arabia still has many questions to answer about the death of Khashoggi. “We must reveal the identities of the puppet masters behind Khashoggi’s killing”, Erdogan wrote adding that Turkey has “moved heaven and earth to shed light on all aspects of this case”. A Turkish prosecutor said on Wednesday that Khashoggi was strangled and dismembered soon after he walked into the Saudi consulate. The case has provoked international condemnation, but one month after Khashoggi was killed, the joint Turkish and Saudi probe has made little progress and many questions remain unanswered. Erdogan expressed dismay that Khashoggi’s body has not been found and urged Saudi Arabia to explain who ordered the killing and also to identify the “local collaborator” to whom Saudi officials said they handed over Khashoggi’s remains. “Unfortunately, the Saudi authorities have refused to answer those questions,” Erdogan said. In a sign of cooperating, a top Saudi prosecutor flew to Turkey on Monday and met the Istanbul chief prosecutor, but Turkey’s justice minister has since accused the Saudis of failing to answer questions regarding the case. “Though Riyadh has detained 18 suspects, it is deeply concerning that no action has been taken against the Saudi consul general, who lied through his teeth to the media and fled Turkey shortly afterwards,” Erdogan said. Etyen Mahcupyan, a Turkish political analyst and former adviser to ex-AK Party leader Ahmet Davutoglu said that Erdogan has taken an aggressive stance in his op-ed, but has made sure to keep good relations with Saudi Arabia. “He doesn’t want to disrupt everything and lose Saudi Arabia. Turkey does not want to lose Saudi Arabia at the end of the day,” Mahcupyan said. “He’s kind of threatening Saudi Arabia, maybe blackmailing a bit in a soft way, but he’s giving the message that Turkey wants to go on with having good relations with Saudi Arabia. Erdogan also displayed more conciliatory language in the op-ed, stressing the “friendly relations” between Saudi Arabia and Turkey and stating that he had “no reason to believe that this murder reflected Saudi Arabia’s official policy”. Erdogan has previously said that the killing of Khashoggi was planned by Saudi officials days in advance. Hilal Kaplan, a columnist at pro-government Turkish newspaper Daily Sabah, said that with this op-ed, Erdogan is trying to keep the Khashoggi case in the international spotlight. She noted that Turkey has done a great job in shedding light on many details as information was steadily leaked to the media over the past month. “With this communications strategy, Turkey was able to control the narrative and keep the Khashoggi murder in the headlines while the public debate continued as the investigation moved along,” Kaplan said. “This pressured the Saudis to accept the fact that this was a premeditated murder. Kaplan added that although Erdogan doesn’t mention Saudi Crown Prince Mohammed bin Salman’s (MBS) name and has always emphasized his respect and good intentions towards King Salman, the Turkish president implied in the op-ed that the crown prince is the one who gave the order. “The crown prince most probably knew about this, he ordered this. At least 5 of the 15 members of the death squad are in the royal guard. And the head of the death squad, [reportedly] made four calls to MBS’ office on the day of the murder,” Kaplan said. US media reported on Thursday that MBS described Khashoggi as a “dangerous Islamist” in a phone call with Jared Kushner and John Bolton, US President Donald Trump’s son-in-law and national security adviser respectively, days after Khashoggi’s disappearance and before Saudi Arabia publicly acknowledged his killing. 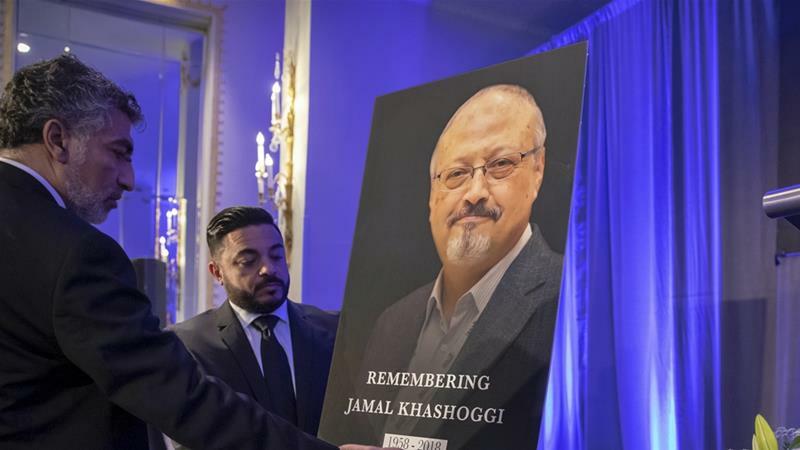 Kaplan said that the call, which was reported by the New York Times and the Washington Post, was an attempt by MBS to justify the killing of Khashoggi. Last week Trump said that MBS bears ultimate responsibility for the operation that led to the murder of Khashoggi. When questioned about the possible involvement of MBS in an interview with the Wall Street Journal, Trump said, “Well, the prince is running things over there more so at this stage. 60 Comments on "Erdogan blames Saudi state for Khashoggi murder"
Davy on Tue, 6th Nov 2018 6:51 am One man’s extremist, is another man’s moderate. It is all a matter of perspective. Davy on Tue, 6th Nov 2018 7:08 am Thanks Anonymouse. Good point. Davy on Tue, 6th Nov 2018 6:53 am In the councils of government, we must guard against the acquisition of unwarranted influence, whether sought or unsought, by the military-industrial complex. The potential for the disastrous rise of misplaced power exists and will persist. If Davy could write properly and knew how to express his thoughts clearly I might read some of his comments, but the guy has a wandering, confused mind that requires multiple paragraphs of nonsense just to express one idea. I wonder if anyone here still reads the Exceptionalist’s comments. Probably yes, since the world is full of idiots with too much time in their hands, particularly in the USA, the world’s biggest idiocracy. As opposed to no idea Juan? or whining Juan? or how about empty reference “RT” Juan. You rarely say anything JuanPee. Most of the time you are just talking tough like you are tough. JuanPee you are the biggest dumbshit on this board because you think for some reason you are the most intelligent. One thing’s for sure you are the most mentally ill with multiple personality disorders. Who cares what you read or don’t. WTF! After reading my above comment several dozen times, it is slowly starting to sink in that I might have been projecting again.